The US Army and Marine Corps in World War II considered themselves highly mobile, offensive forces. Their mobile-warfare doctrine envisioned field fortifications and obstacles as temporary in nature. As a result, their design was simple and made use of local materials, and they could be constructed comparatively quickly, whilst still providing adequate protection. 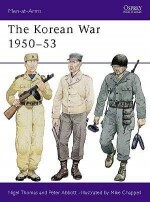 By the time of the Korean War, only minor changes had been made to field fortification construction and layout, and to small-unit organization, weapons, and tactics. 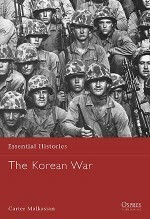 This title addresses field fortifications built by US infantrymen during World War II and in Korea, and covers rifle-platoon positions, trenches, crew-served weapon positions, bunkers, dugouts, shelters, observation posts and anti-tank obstacles. Gordon L Rottman entered the US Army in 1967, volunteered for Special Forces and completed training as a weapons specialist. He served in the 5th Special Forces Group in Vietnam from 1969-70 and subsequently in airborne infantry, long-range patrol, and intelligence assignments until retiring after 26 years. He was a special operations forces scenario writer at the Joint Readiness Training Center for 12 years, and is now a freelance writer.Ian Palmer is a highly experienced digital artist. A graduate in 3D design, he has provided illustrations for many publications, from modelling James Bond's Aston Martin to recreating lunar landings. 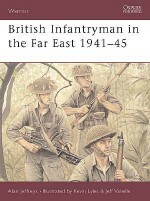 His work for Osprey's Fortress series includes volumes 1: ‘Japanese Pacific Island Defenses 1941-45' and 23: ‘German Field Fortifications 1939-45'. He lives and works in London with his wife and three cats.